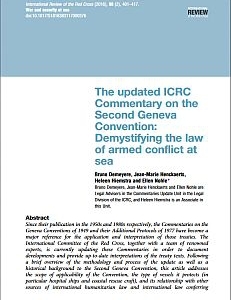 Jean-Marie Henckaerts is Head of the International Committee of the Red Cross (ICRC) project to update the Commentaries on the Geneva Conventions of 1949 and their Additional Protocols of 1977. 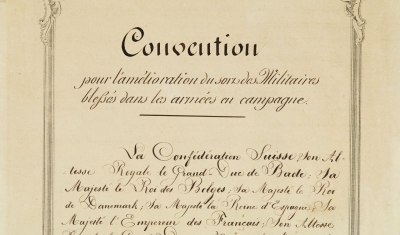 The first milestone of this project was reached in 2016 when the updated Commentary on the First Geneva Convention was released online and published in print by Cambridge University Press (CUP). 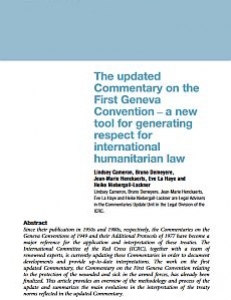 The second milestone was the publication online in May 2017 of the updated Commentary on the Second Geneva Convention and in print by Cambridge University Press. 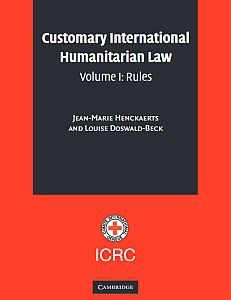 Prior to this, he was the head of the ICRC’s project on customary international humanitarian law. He is a co-author of the ICRC study on the subject. Jean-Marie Henckaerts holds the degrees of Doctor of Juridical Science from The George Washington University Law School, a Master of Laws from the University of Georgia School of Law and a Bachelor of Laws from the University of Brussels. He has published eight books and numerous articles on international law, international humanitarian law and human rights law. This course provides an overview of the history and sources of contemporary international humanitarian law, starting from the 1864 Geneva Convention until today.